Note: Maybe if our borders were secure and we knew who was here, the NSA wouldn’t need to snoop on all of us. 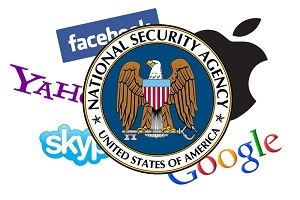 In the shocking aftermath of revelations that Google, Yahoo, AOL, Hotmail, Skype, YouTube, Facebook and others are all sharing private user communications with the NSA in a massive spy grid system, many of these companies have publicly denied this is taking place. But their denials are federally-required lies! It turns out that the Foreign Intelligence Surveillance Act requires companies to deny the existence of such programs or risk their executives being arrested and tried as potential terrorists. Local residents living within a one-mile radius of the venue for the popular Coachella Valley Music & Arts Festival, which takes place annually in Indio, California, got an advanced preview of the emerging American police state this year. Wristbands to track attendees has been extended beyond just ticket holders to residents living around the Empire Polo Field where the festival takes place, even though forcing these tracking chips on the public is against the law.